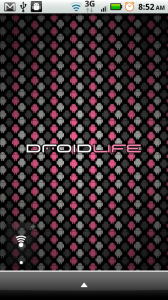 There have been a number of wallpapers to come through Droid Life over the last year and rather than having them spread throughout various pages, we thought an app that encompassed our most popular ones would be the way to go. Yesterday, our buddy and ROM guru JRummy16, offered to put it all together and came through in a big way. 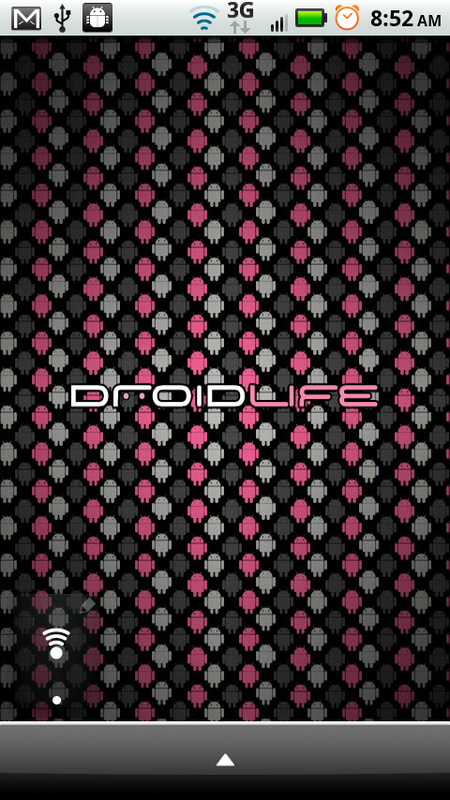 We proudly present to you, the Droid Life Wallpapers app, which is available in the market right now, for free! You’ll find over 30 papers including a never-before-seen set from our boy Ludacrosse05 called “Colorious Delirium”, the set of “Argyle Android” papers from yesterday, and a few others from the last few weeks of theme changes. 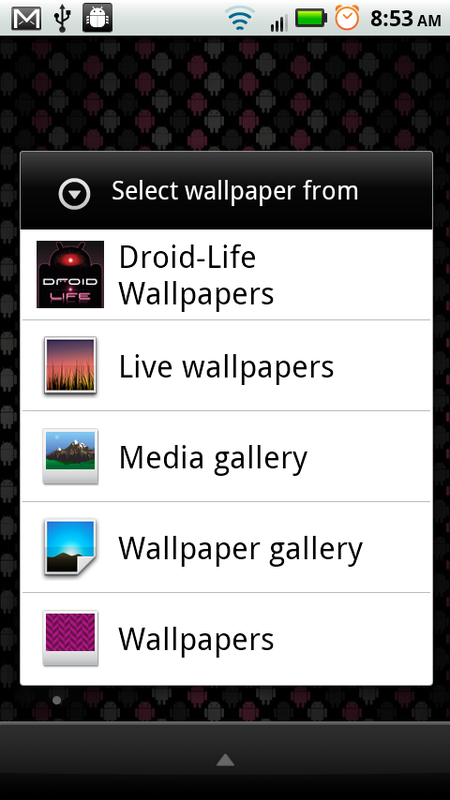 *Note* – After downloading and installing the app, all you need to do is head to your home screen, hit Menu>Wallpaper and you’ll see the “Droid-Life Wallpapers” section appear. 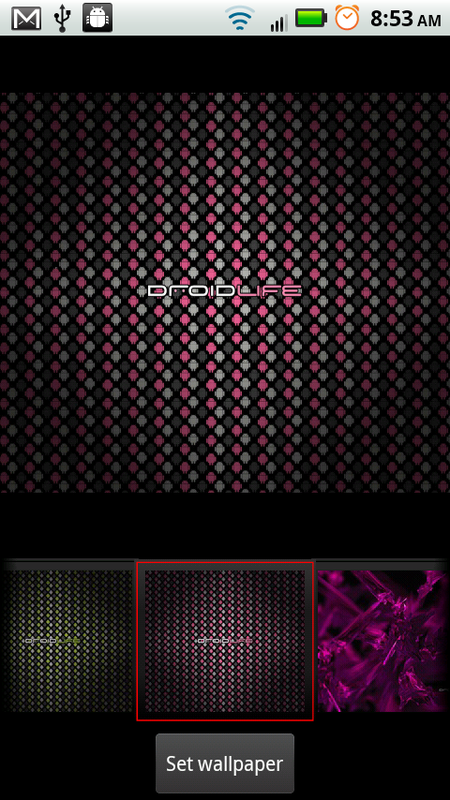 From there, you select a wallpaper just like you would any other. 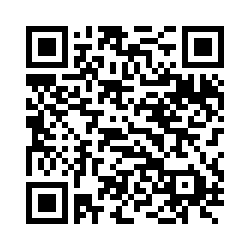 *Note 2* – Yellow Android Life paper will be added soon. Again, huge thanks to JRummy (donate) for putting this together and to Luda (donate), Scott and everyone else for their amazing work.